WOD at Home Equipment Requirements | WOD at Home | Full WOD programming for the home or garage athlete. 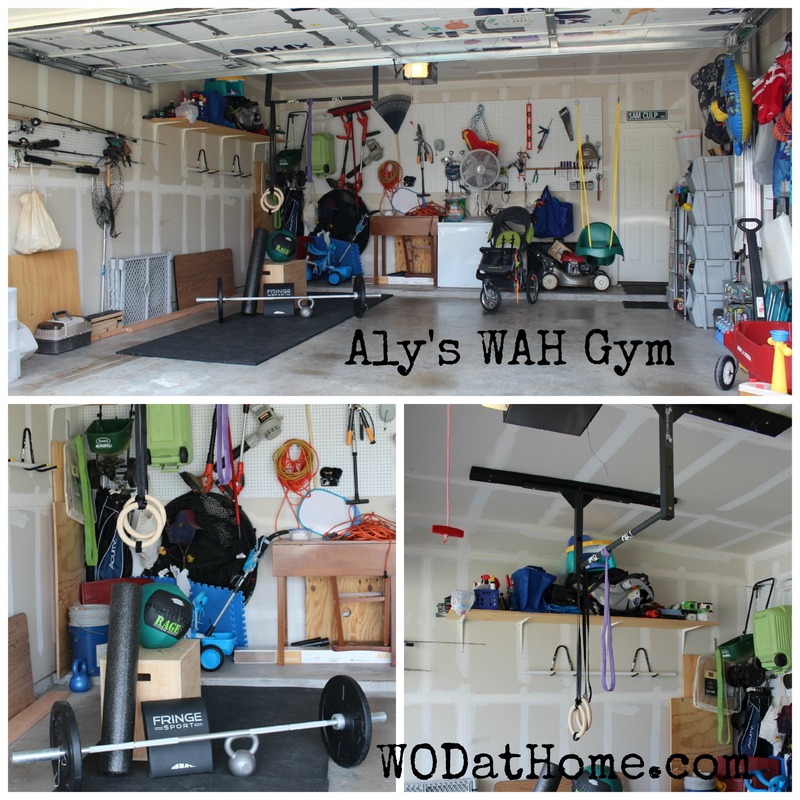 *WOD at Home may occasionally program workouts requiring additional equipment, but will always provide substitution options based on the 3 required pieces of equipment mentioned above. This allows for you to not lose out on the effectiveness of the workout due to home gym or garage gym equipment or space limitations. Based off WOD needs and not cost. We will include all cost effective solutions. 10ft x 10ft space minimum. Make it close to where you can hang a pull-up bar and get outside to run easily without running through a nice area. You just need room to move around. Get rid of all cable machines, elliptical machines, total home gym machines. These aren’t perform functional exercises, which are the basis for WOD at Home’s programming. Sell them to make money and clear room, a win-win. You want as flat of a surface as possible on which to lift. Garage floors, concrete patios, hard ground, etc. are the best. 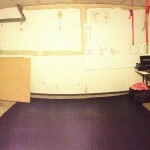 To upgrade your space, you can place 1/4” rubber mats down to make for a comfortable place to work-out. Don’t buy expensive mats marketed for exercise as they are way over-priced. Go to your nearest horse feed and tack store to get horse mats, they are much cheaper. High ceilings. The higher the better. Depending on how tall you are, you can probably get away with 8′ ceiling, but you need room to hold a barbell over your head with bumper plates on it without hitting the ceiling. This is an expensive cost but is important to be able to do all of the olympic lifts. Think of it as 2 1/2 months membership fee at a Crossfit gym. Craigslist is a great place to find these at a good discount but it is time-consuming sifting through the trash. OneFitWonder Weightlifting Technique Set ($199) – This set is made specifically for those unable to perform the correct technique with the 55-65lbs using a regular bar and 10lb plates. These bounce and are the same height off the ground as other plates. Building your own Plyo boxes is a good way to save some money and you can find out how to do that here. Hopefully you can find one of these for cheap on Craigslist, if not you can find one with FringeSport. It’s difficult to give over-arching recommendations for equipment because everyone has different gym limitations. 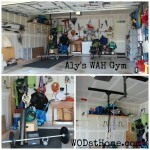 Please send me an e-mail at wodathome@gmail.com with any specific gym questions. http://library.crossfit.com/free/pdf/cfjissue1_Sep02.pdf. Keep in mind this was written with the CrossFit affiliate in mind, so like the workouts, scale down the principles to be put to use in your home gym or garage gym.